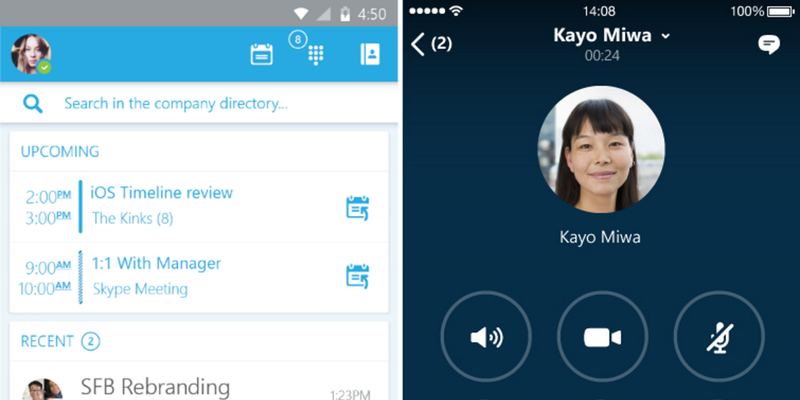 Microsoft has launched a the full release version of Skype for Business on iOS today, but Android users will have to wait a little longer. The company started rolling out its replacement for Microsoft Lync on the desktop earlier this year, which was then followed by the Skype for Business preview app for iOS and Android devices in August. Among the changes on the new iOS app are an updated dashboard, which should make it easier to see upcoming meetings and recent chats. The buttons to control things like adding participants mid-call are now a bit larger too, Microsoft says. Rounding off the notable changes are additional security options, including multi-factor authentication for Skype for Business, which should please your IT admins. To update to the new release, Microsoft says Lync 2013 users on an iPhone should get updated to the Skype for Business app automatically, but that iPad users will need to update manually. Unfortunately, Microsoft didn’t give any updates on when exactly we’ll see the Android version arrive.